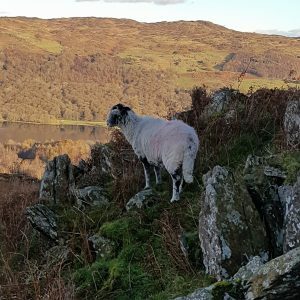 Wednesday was spent touring the catchment with Coniston & Crake Catchment Partnership members Paul Chamberlain & Les Higgins. The sun shone for most of the day as we checked out potential work tasks to naturalise some of the watercourses through improving gravel beds for trout and salmon spawning,where we could install large woody debris. We identified spots for bird & bat boxes and looked at fish passes that needed re-establishing. We also scouted out places for future events too. 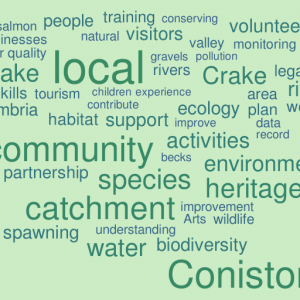 Welcome to the new Conserving Coniston & Crake website! 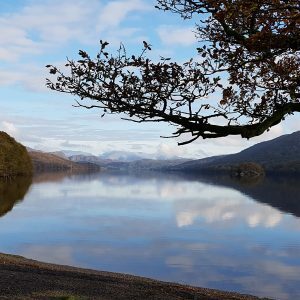 Welcome to Conserving Coniston & Crake! This new and exciting Heritage Lottery Funded Project is currently in development and will hopefully begin in the spring of 2017. Use the website to find out more about the project, how things are going, what events are happening and how you can get involved! If you have questions or feedback for us, we’d love to hear from you.